Behavior issues can often result from physical pain. Dr. Snyder will discuss some common and not-so-common conditions that may be causing behavioral changes. She will also discuss rehab options to resolve pain including hydrotherapy, cold laser, acupuncture, and canine conditioning. .Tips for finding the Rehabilitation Center: Grandview Animal Hospital is located on streetside at 1006 Main Street. 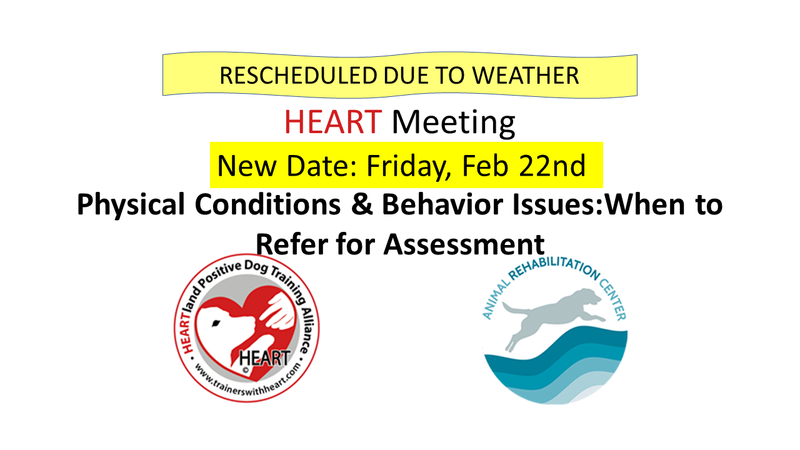 The meeting is taking place at the Grandview Animal Rehabilitation Center which is located on the backside (Suite B) of the building next door (1012 Main Street). To aid with meeting logistics such as copies of handouts, facility setup, etc., please register to let us know you're coming.